The kitchen closes one hour before closing time! 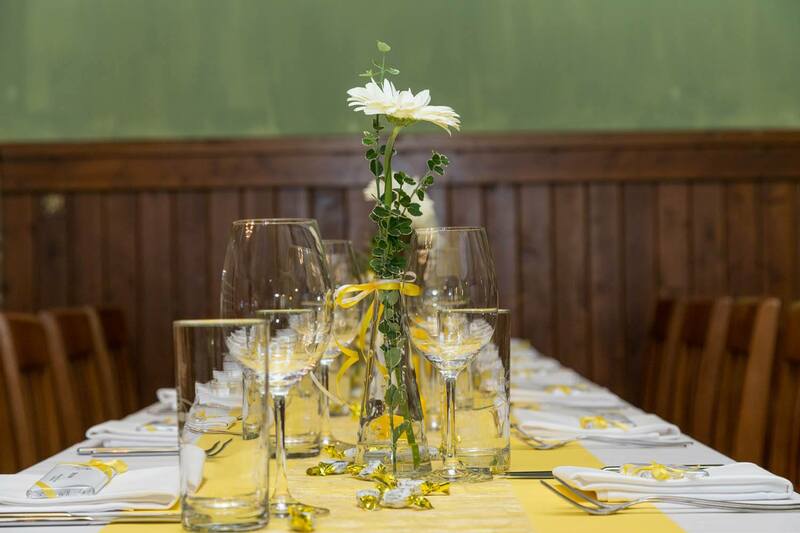 January 21nd until March 6th, 2016, from 9 a.m. to 10:30 p.m.
Each time open for your event! from 11 a.m. till dusk. 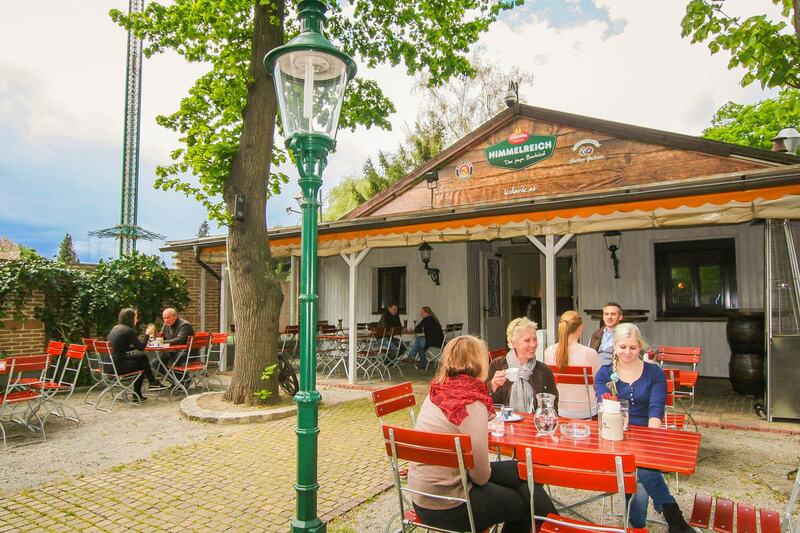 Mo - Fr from 2 p.m.
Office Hours Monday to Friday: 9 a.m. to 5 p.m.
Himmelreich Prater: Your location in 1020 Vienna! 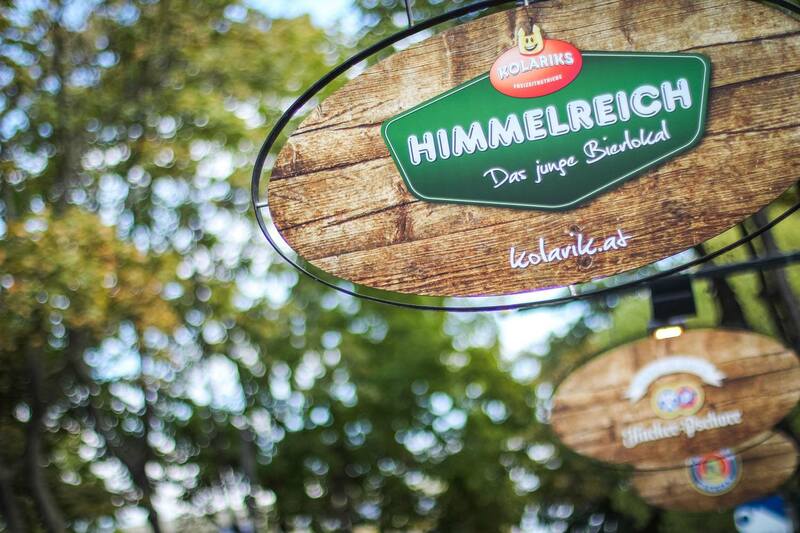 Culinary art and culture are melting together to an exklusive symbiosis at Kolariks Himmelreich Prater in 1020 Vienna. 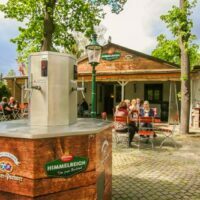 Whether you are planning a private or company party – at Himmelreich Prater every event finds its perfect stage. 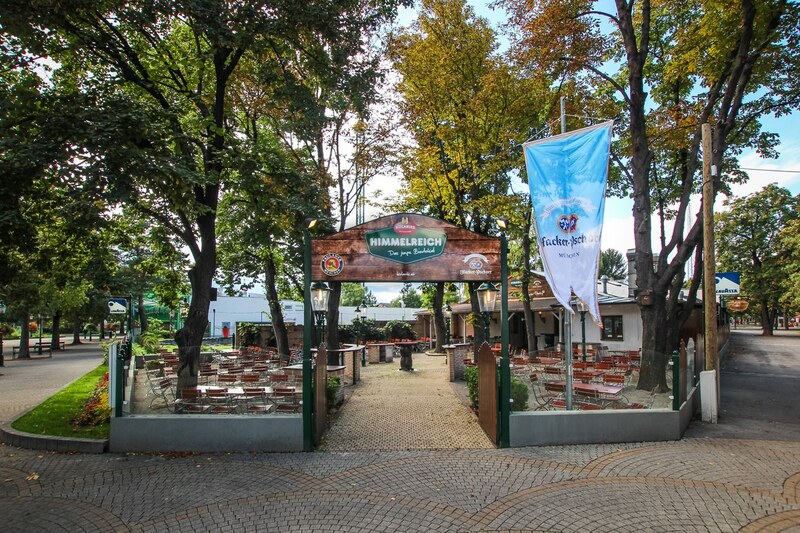 The location is set between the amusementpark and the green Prater as well as close to Praterfee, Luftburg and the new university of economics. 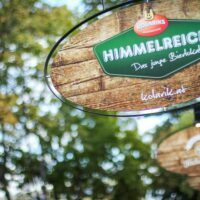 Your event at Himmelreich Prater by Kolarik! 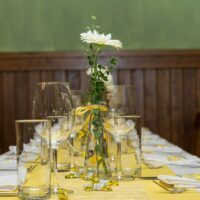 You are looking for a location in Vienna for your event? 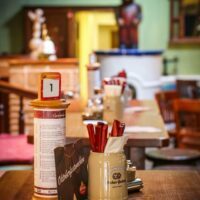 You want to celebrate your bachelor- or bacheloretteparty in Vienna and enjoy the Vienna Prater gastronomy with a suckling pig? Then you are at the right place at Kolariks establishments! 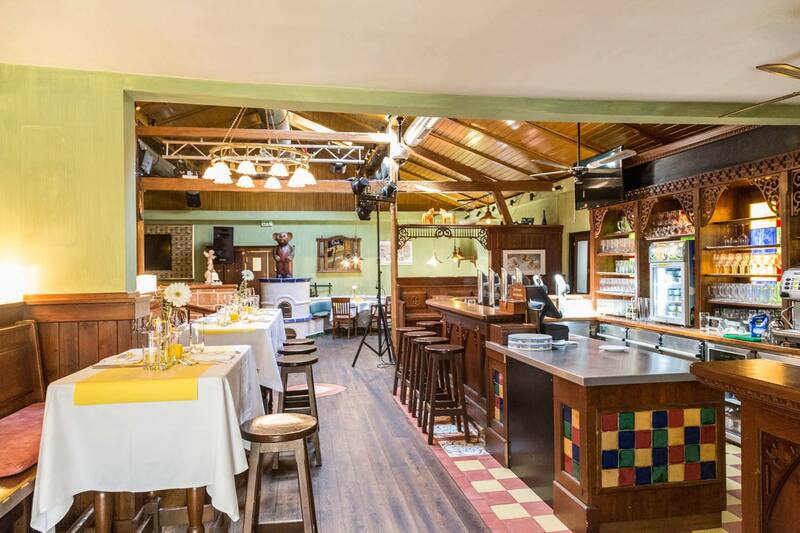 Rent our Himmelreich exklusively for your party! 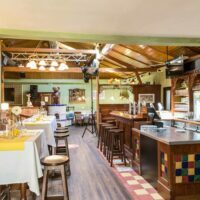 Whether for a bachelor- or bacheloretteparty, birthday bash in Vienna, eventlocation for your company function or any other occasion – Kolariks Himmelreich is one of the best addresses of the Vienna Prater Restaurants! 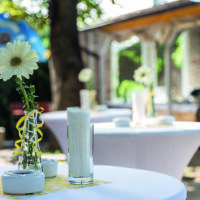 The whole restaurant with its outdoor area is the ideal location for private parties and company celebrations. Indoors 70 people will find comfortable seating and 130 guests can be seated outside. Let yourself get spoiled! 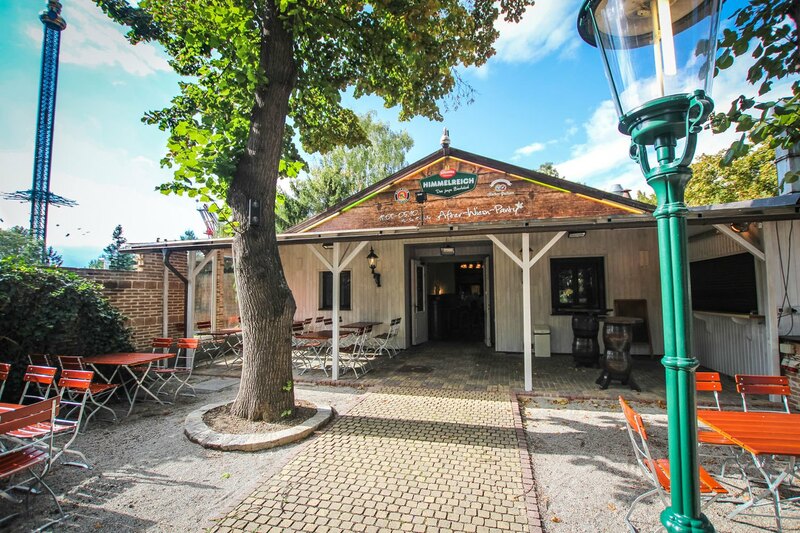 Kolariks Vienna stands for coziness, Austrian cuisine & delicacies as well as a unique atmosphere in the middle of Prater. 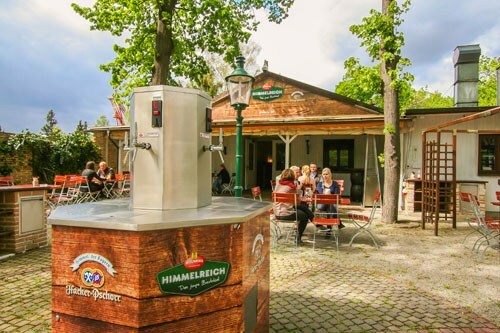 Coziness: Himmelreich Prater is your location and the answer to the question: what to do with children, friends or work colleagues in Vienna – 365 days of the year! 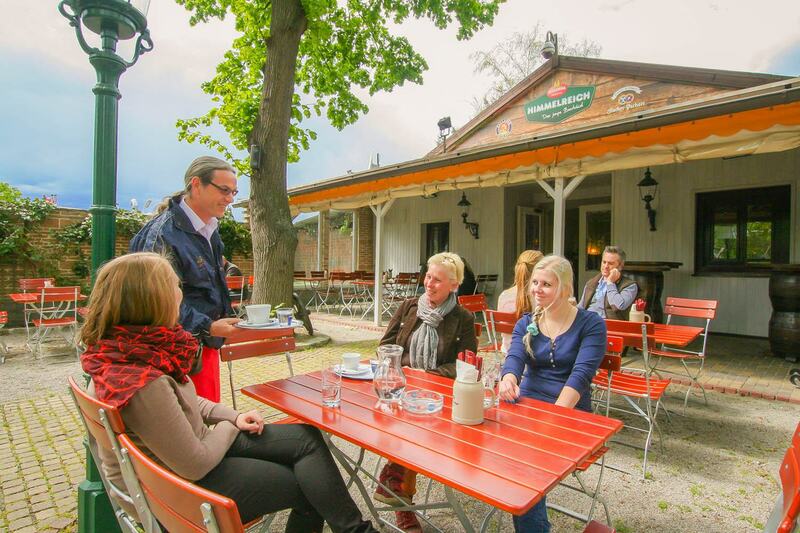 In spring and summer you enjoy the relaxing outdoor area. Inside you are protected from wind and weather during the fall and winter months. 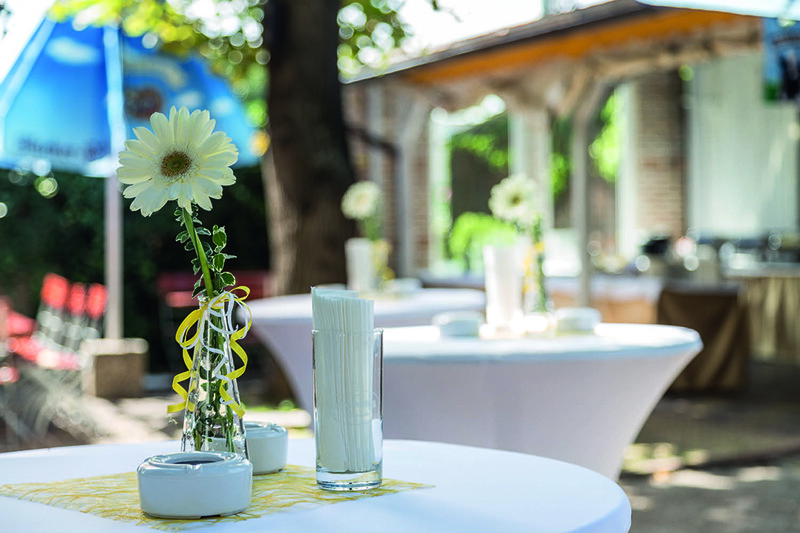 It doesn’t matter where you want to celebrate – the team of Kolariks is looking after your wellbeing. Culinary art: We only serve the best! 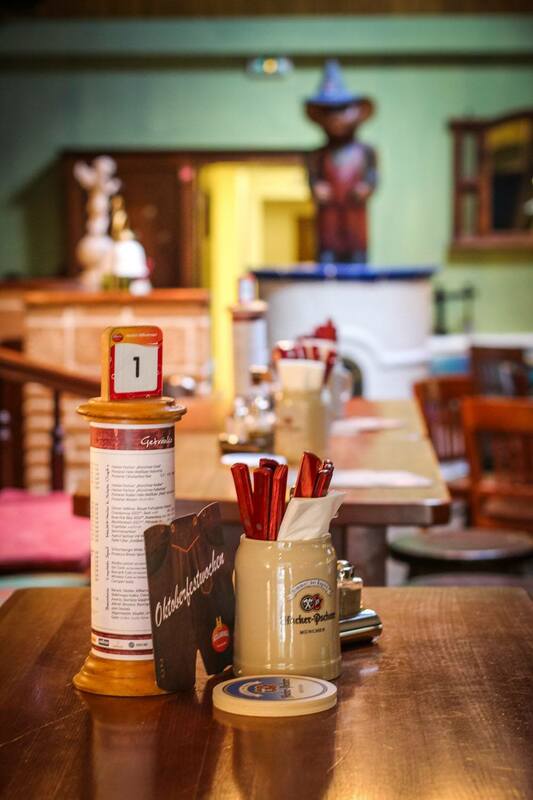 Our kitchen crew spoils you with austrian delicacies and grilled specialties. We always cook fresh and use regional mostly organic products. 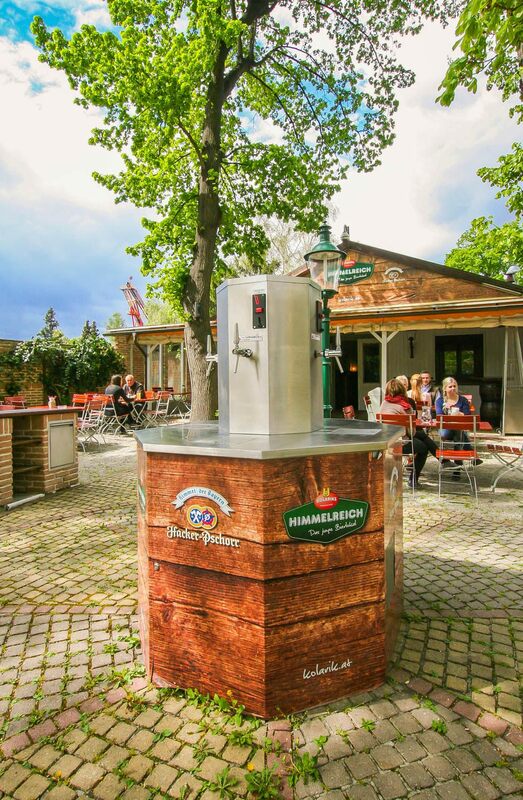 A cold beer should absolutely not be missing! 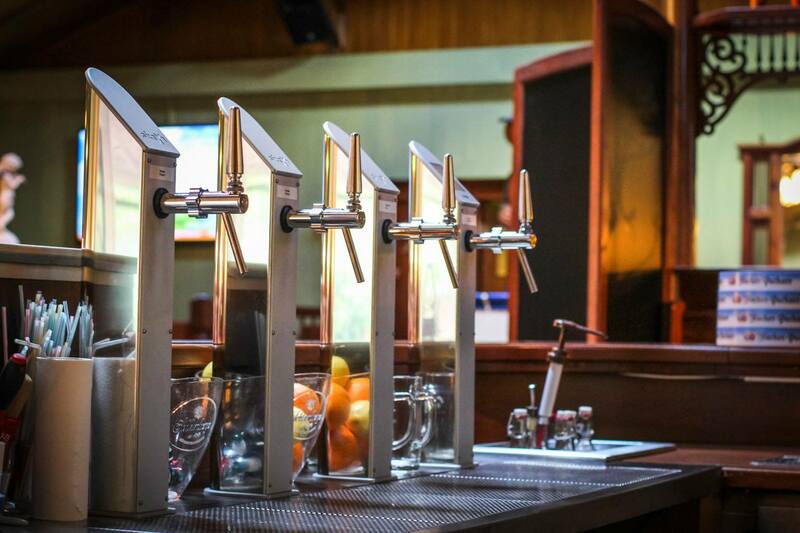 You can book your own table tap upon request! 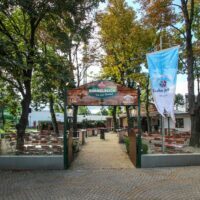 Recreational area: Welcome to Prater! Enjoy a time out from your daily routine and take a deep breath. 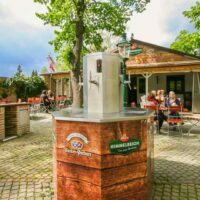 You can celebrate particularly well in the green heart of Vienna. 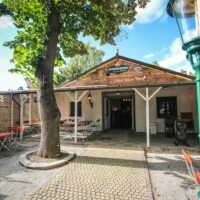 Rent Himmelreich Prater exklusivly for your event. 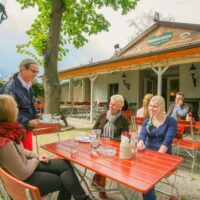 If for a social get-together during the time of Prater Wiesn Fest, as a location to celebrate a birthday in Vienna, a culinary end to your leisure activity with the children or as a partylocation in general – Himmelreich Prater is the right place for you. Follow us on facebook and never miss out on Kolariks-News again! Straight ahead on Ausstellungsstraße, then turn right into Perspektivstraße, the turn right into Messestraße, there on the right hand side is a parking lot (charges apply)! Straight ahead on Ausstellungsstraße, then turn left into Max-Koppe-Gasse, the street turns over to Messestraße, there on the right hand side is a parking lot (charges apply)! At the parking place next to the Himmelreich a fee is required as well as in the parking-lot in a close walking distance. Dogs are always welcome! 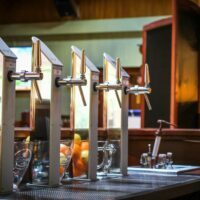 As a family-friendly business we emphasize the security of our guests and ask dog-owners, to put on a muzzle as well as a dog leash. We thank you for your understanding, that due to the regulations of industrial hygiene, dogs may only sit on the floor. Kinderyoga in der Praterfee in Wien Bewegung, Spaß und Entspannung! 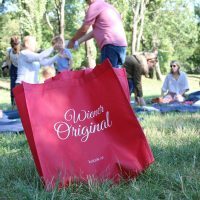 Besuchen Sie das schöne Wien und schlemmen Sie bei uns in Kolariks Luftburg zum ermäßigten WESTbahn-Tarif. 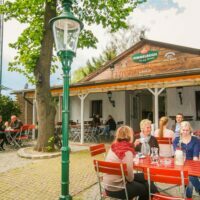 Österreich darf sich europaweit als Vorreiter in Sachen Bio-Lebensmittel und Nachhaltigkeit bezeichnen. Ob Tier oder berühmte Persönlichkeit, Gegenstand oder Kultfigur: Den Fasching nehmen viele zum Anlass, um in eine Rolle zu schlüpfen und der Fantasie freien Lauf zu lassen. Then go ahead and place your reservation for you and your family and/or friends. Enjoy a good time together!